It's February and it's a month of love ! Yup because on 14th February there'll be Valentine's Day , how about make this month sweeter with Gelato? sounds great !! 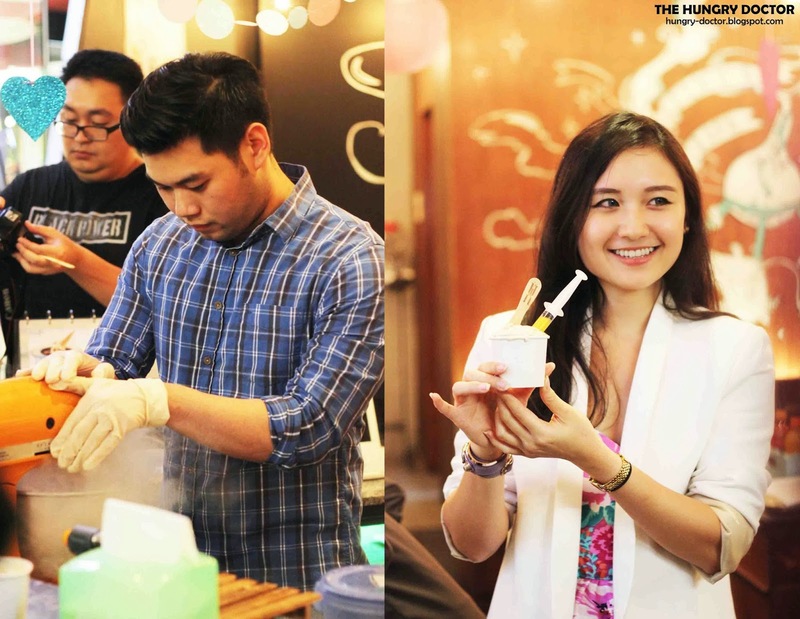 One of the most famous gelato nowadays is gelato which made with liquid nitrogen, one of my recommendation is ELICXIR Artisan Gelato. They're not new in this section and until now they already had 2 stores, in Plaza Indonesia and Mall Kelapa Gading, and I've got a chance as the food testing panel for their new flavour that will be launched soon ! !So excited. Anyway they had Valentine's Special Menu, I think that's kinda sweet having a cup of valentine's edition gelato with your lovely one. 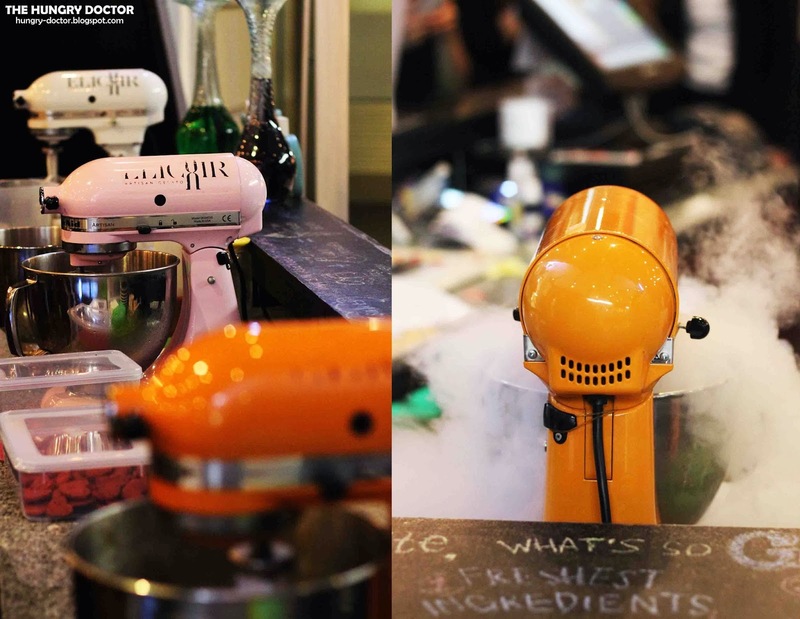 ELICXIR Artisan Gelato offers you a great place and ambience, also open kitchen which is so interesting how can see the process of making gelato using liquid nitrogen. 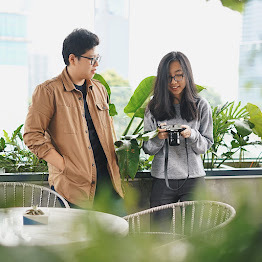 Oh yeah, the event was held at Plaza Indonesia store which is the pop-up store, they'll closed in next 4 months, and will re-opening at permanent store, just the pop-up store. They're not too big but quite comfortable. This gelato was so unique, the combination between Ambonese Banana and Speculas Biscuit, so their named Ambon Netherland, smooth banana gelato mixed with crunch speculas, can you imagine the taste? yupp as we knew that speculas taste so special, you can feel taste of cinnamon, ginger and many more, combine with strong banana flavour. Their works, I really like it ! This menu is not the new flavour, but the most favourite this month. Everybody knew how delicious marie biscuit is, they're sweet, milky and have a really lovely aroma, and they're mixed with smooth gelato, so it will be creamy and hmmm tasty ! But it's quite too sweet for me, as you know I'm not a sweet-tooth haha, but this is their top gelato this month, just give it a try !! Another, new comer ! Actually, their name haven't launched yet haha, so I just give the name myself, because this gelato based was mixed with french toast and served with kaya jam injection. Seriously, feel like you're eating a toast, you get the aroma and also the taste, superb !! Big applause to Jansen for this gelato ! Anyway, I really love toast with kaya jam, so it will be my all time favourite gelato here !! Here's the Valentine's Special Menu !!! It's a month of love, so spread your love and put it on top !! 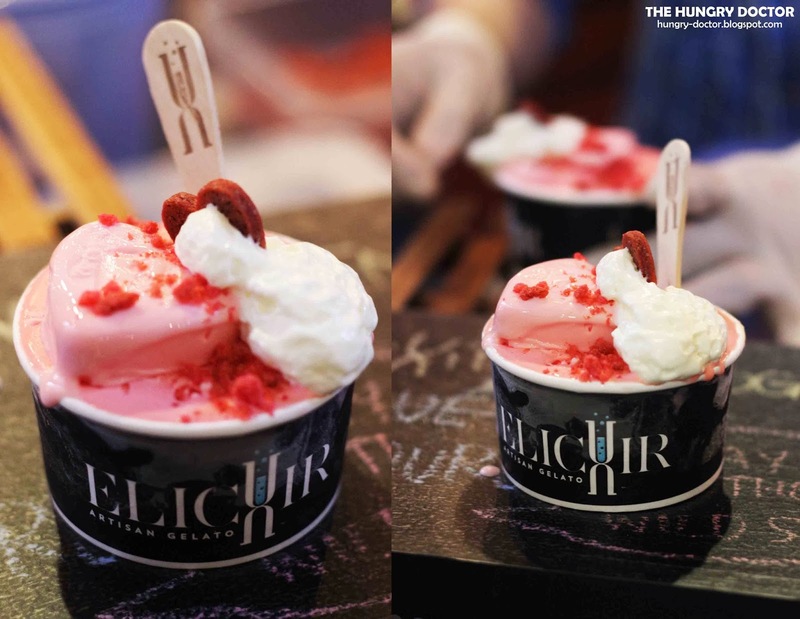 ELICXIR Artisan Gelato offers you LOVE ON TOP Gelato, and it's literally love on top, you can see there's a heart-shape gelato on top the gelato hmmm and it's two kind of different gelato. Red velvet gelato based and then served with creamcheese and red velvet cookies, such a really great gelato !! Nice presentation, but remember you have to eat it quickly, because they melted so fast. 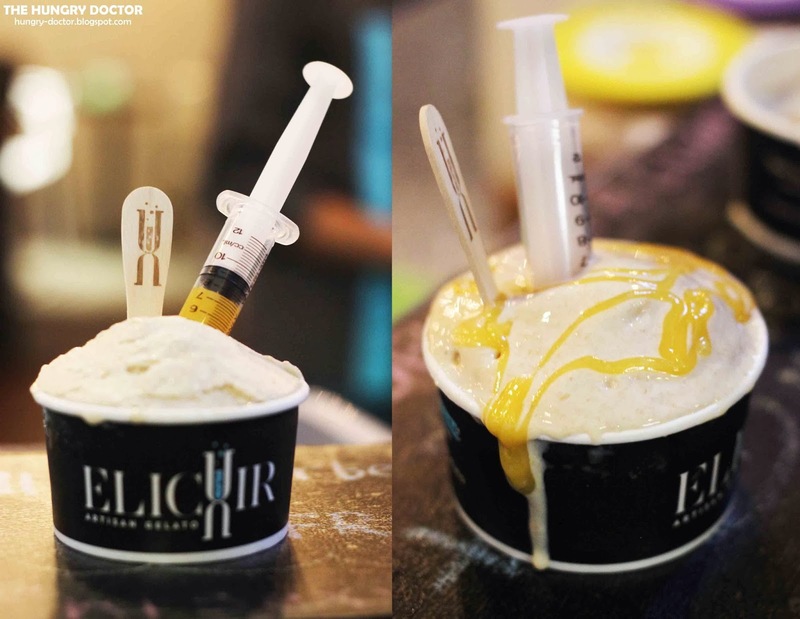 Another new creation of ELICXIR Artisan Gelato , now they already had some light bites, but now they want to add some menu that also relevant with their gelato, Eclair and Choux. 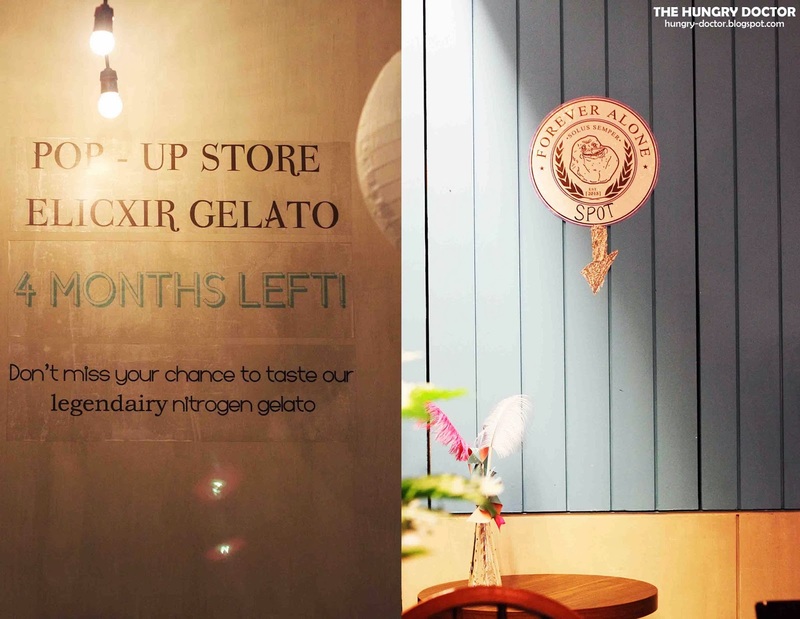 Their delicious pastry was filled with gelato hmmm You can pick whatever you want, eclair or choux and for the flavour they available in Milo Dinosaur and Banana Nutella. I prefer their Milo Dinosaur. Well, that's their new menu and Valentine's Special Menu, I think everyone will interest and melted with that. 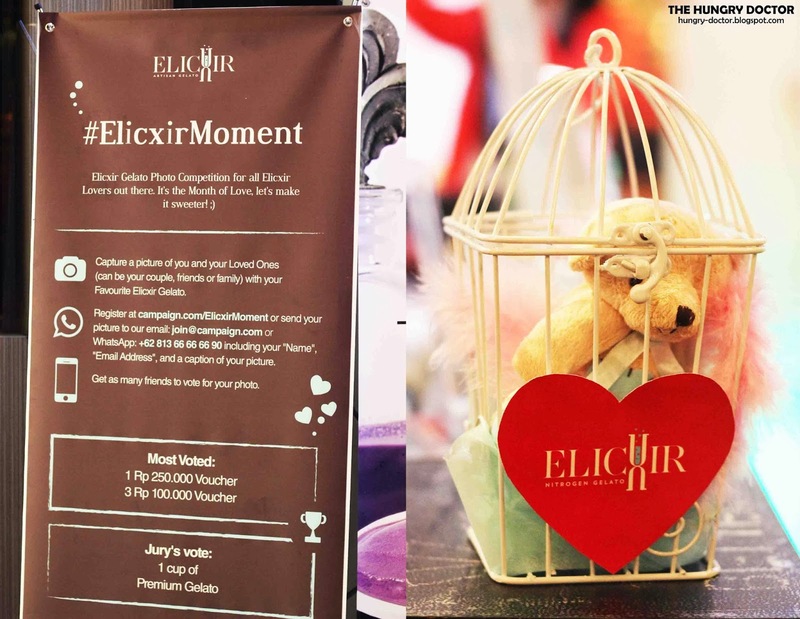 I also inform you, that ELICXIR Artisan Gelato has a Campaign called #ElicxirMoment. 2. Register at campaign.com/ElicxirMoment or send your picture to our email : join@campaign.com or WhatsApp : +6281366666690 including your "Name", "Address", and a caption of your picture. 3. Get as many friends to vote for your photo. CAMPAIGN ENDS 21 February 2014. Come and Join Now ! !